Liquor is actually most canned heat consumed around the world. Specifically in metro cities which are famous for nightlife. If we correlate the price of liquor, the rate in Delhi is comparatively less with reference to other States. Reason being high demand at places like liquor stores, bars, pubs, discos, clubs, and restaurants. Though consumption of alcohol is unhealthy but it can definitely earn you well as a business. So if you are planning for a business, this also can be ascendancy. The rules and regulations for sale and purchase of alcohol vary from State to State. These rules and regulations are mentioned under the 7th schedule of the constitution of India. In Delhi, the Excise Department regulates the liquor head. Every State has benchmarked a legal age for consumption of alcohol which is called consumption age. As per the Delhi Excise Act, 2010-SECTION 23 and Delhi Liquor License Rules 1976, the legal age to consume alcohol in Delhi is 25. To set up a liquor business you need a liquor license. You must be confused when we say liquor license. Yes, a license for liquor. A liquor license allows you to sell liquor at a certain place. This license is produced by legal authority. The liquor is supplied by the L-1 licensee to the holders of L-2, L-3, L-4, L-5, L-19 and L-19 A, L-52, L-53 licenses in the National Capital Territory of Delhi. Every state has its different rules and regulations governing the sale of alcohol. As we have already mentioned earlier that every State has its own rules and regulations with respect to consumption, sale, and purchase of liquor. It is, therefore, necessary that one must prescribe the rules and regulations for the same. You can also visit the authority granting a license. Every state has an Alcoholic Beverage Control (ABC) that governs the conditions of the sale, purchase, consumption, and distribution of alcohol. Some of the states have license quotas which limit the number of places to sell alcohol within the state at any point in time. On-license: This license will be required when the alcohol is sold and consumed on the same premises. This type of license includes bars, restaurants, discos, etc. Off-license: This license will be required when the alcohol is consumed outside the premises that are usually shops. 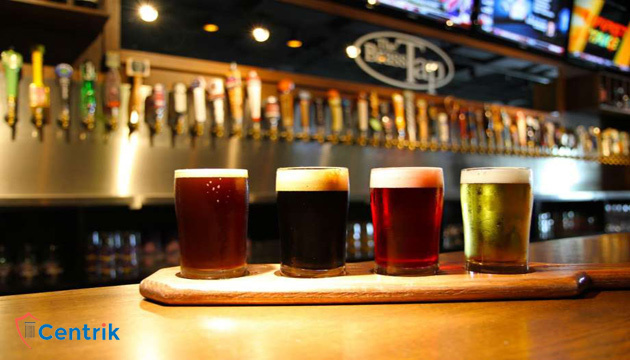 Tavern license: It might be required in some states by business organizations that serve food as well as enjoy benefits from the sale of liquor. Beer and wine: There are some smaller restaurants that are allowed to sell smaller drinks like beer and wine but not allowed to sell hard drinks. Restaurants: This helps and enables the sale of liquor on the premises which also helps in the profits of the restaurant. Consider Capital: It is a must that if you are planning to apply for liquor license one must consider the capital. The capital may vary from State to State. Moreover, sometimes it can be low but can be elevated too, it depends on case to case. Fill all the needful forms and complete the documentation. Be prepared to defend your proposal: Once you submit your documents a notice will be posted in the proposed area of business, including your name and sort of permit you are applying for. Renew the license yearly: If you are planning to continue your business you need to renew your license yearly by paying the renewal fee. The license can be expunged: If you go against rules and regulations by the authority like selling alcohol on dry days or selling it to minors then your license can be expunged.